Broccoli has been a staple vegetable in almost any healthy individual’s diet for hundreds of years. Our parents made us eat them, and when we step into adulthood we make sure to add broccoli into our diets as much as we can. However, much of us probably are unaware of the benefits of broccoli sprouts, which are the infant versions of broccoli that are harvested after only a few days. Cruciferous vegetables have long been known to have major benefits to our health, even possessing the antioxidant sulforaphane that is responsible for fighting cancer. When compared to broccoli, broccoli sprouts actually have up to 50 times more of the antioxidant and can combat cancer and provide additional benefits with significantly less consumption. If you’re like millions of people out there, you may not be getting your daily serving of vegetables. Broccoli sprouts provide a way to gift you with numerous benefits in small servings, making them extremely useful to our bodies but also extremely convenient to our cooking and eating schedules. Provide quality nutrients: with just a 3 ounce serving of broccoli sprouts and only 35 calories, you’re getting 2 grams of protein and 4 grams of fiber. The real benefits, however, come from the plant chemical sulforaphane. Essentially, broccoli sprouts are a great low-calorie food that pack a huge amounts of benefits while helping you meet any of your dietary needs. Anti-inflammatory: sulforaphane is an anti-inflammatory. Anti-inflammatory foods are great for the body, because inflammation is often associated with a variety of health issues. These issues include joint discomfort, swelling, heart and lung problems, sleep deprivation, and a variety of other problems for your body. Keeping inflammation under control is vital for our bodies, and broccoli sprouts can help keep the negative impact of inflammation at bay with only a small amount. Antioxidant: the sulforaphane in broccoli sprouts help reduce reactive oxygen species by enhancing glutathione. Glutathione is perhaps the most significant of all antioxidants and have a major impact on the wellbeing of our bodies. This antioxidant helps to prevent cancer, disease, dementia, and other diseases. Fights cancer: as I literally just mentioned, the antioxidant glutathione is responsible for fighting cancer. Studies have found that many individuals that have cancer also have a glutathione deficiency, so keeping these levels high is a necessity. One cancer that the sulforaphane has been proven to combat is gastric cancer. This type of cancer is associated with H. pylori, a bacteria. Broccoli sprouts can help keep away the H. pylori bacteria and increase cancer protection of the stomach. Supports brain function: broccoli sprouts, once again through sulforaphane’s ability to enhance glutathione, fights against cognitive impairment and reduces the risks and progressions of schizophrenia, Parkinson’s, Huntington’s, and Alzheimer’s diseases. Additionally, sulforaphane can help with traumatic brain injuries, which obviously further supports brain function for those that have been subjected to accidents that lead to trauma for the brain. Helps with mental health: mental health is a concept discussed in our culture quite frequently in this day and age. Depression and anxiety, specifically, seem to be at an all time high amongst all age groups. Fortunately, broccoli sprouts can help in this area. Sulforaphane has the ability to produce antidepressant and anxiolytic (anxiety-reducing) effects. Depression and anxiety can be severely debilitating in adults and teens, and having a vegetable that can reduce these mental difficulties with a few servings per week is definitely a welcome solution. Supports liver function: since broccoli sprouts can reduce oxidative stress through their antioxidant properties, liver function becomes an additional beneficiary of these amazing infantile vegetables. Broccoli sprouts help the liver to produce more glutathione, which we’ve already gone over various benefits of, as well as detoxification enzymes. For anyone that enjoys to partake in alcoholic beverages, whether once in a while or more consistently, broccoli sprouts help to induce aldehyde dehydroenases, which of course means nothing to most of us but essentially signifies an improvement in alcohol tolerance. Not a bad addition to the benefits of broccoli sprouts. Supports heart function: I don’t know about you, but I tend to stand by the belief that the heart is a fairly important contributor to the wellbeing of my body. The reality is that heart disease is the number one killer in the world. Broccoli sprouts, once again ever rich in sulforaphane, help to lower the risk for heart disease. They do this by combatting elevated triglyceride and cholesterol levels. 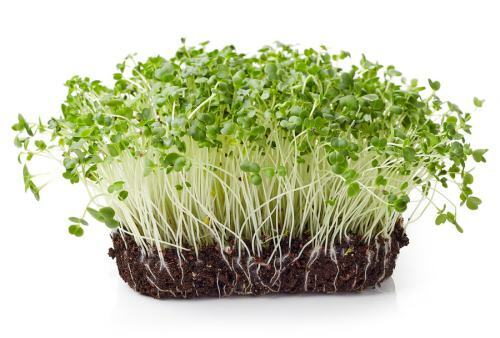 Adding broccoli sprouts to your diet can also help lower blood pressure. With these contributions our heart doesn’t have to work as hard and undertake significant stress. This, in turn, lowers our risk of heart-related issues. Combats obesity: eating healthy, including eating your vegetables, is always a great way to fight against obesity. Broccoli sprouts, in addition to being a low-calorie vegetable, assist in the augmentation of energy consumption. The more energy we consume, the more fat we burn, leading to decreased risk of excessive weight gain and obesity. Obesity leads to heart disease and a myriad of health problems. Broccoli sprouts are a great way to avoid having to deal with all of these risks down the road. Supports respiratory health: as we’ve mentioned, broccoli sprouts reduce inflammation and oxidative stress. This reduction exists in our airways as well. Because of this, sulforaphane can reduce symptoms of asthma and other lung-related issues. Before you go off and start popping broccoli sprouts like candy because you’re so inspired by this article, it’s important to know that unlike broccoli, you really shouldn’t eat broccoli sprouts raw. Like tons of food out there, raw broccoli sprouts have an inherent risk of contamination and food-related illnesses such as salmonella and E. coli. This shouldn’t be any reason to worry as long as you thoroughly cook your sprouts. As I said, there is plenty of food out there you can’t just eat raw. Just be sure to take the proper precautions to have all of the benefits without any of the risks. The facts and benefits are all there. All you have to do is make the minimal effort of a quick trip to the grocery store and a quick bit of preparation in order to experience all of the positive effects of broccoli sprouts. If that’s all it takes to put your body in a better place than it is now, what is there to hinder you from adding a bit of broccoli sprouts into your diet? If you’re a gardener, you can even grow your own! Either way, you’re benefiting your body through a simple addition to your diet, so go for it!